From stones to plants : Creation of mosaic decorations for the garden! Garden and mosaic design: the perfect match! NEW : garden design and mosaic! 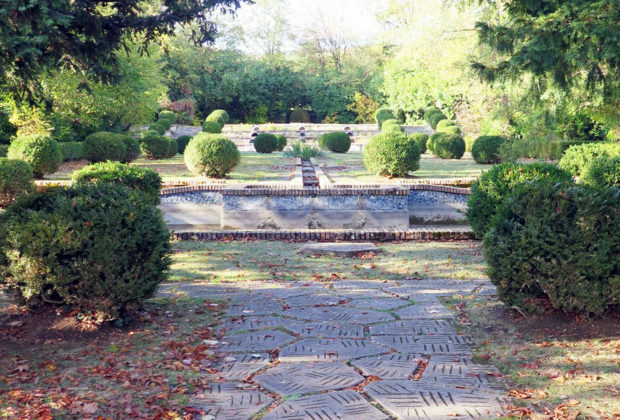 I have attended a training in Garden Design at the National School of Landscape Architecture of Versailles. So, I am now able to offer the complete design of your garden! If you consult my new Garden Design Website, also dedicated to tree management, you will find that I give a lot of importance to trees. Trees contribute greatly to our quality of life and deserve our gratitude. Limestone, slate, marble… stones make a perfect match with nature by a mixture of colour contrasts. The garden becomes a living painting! 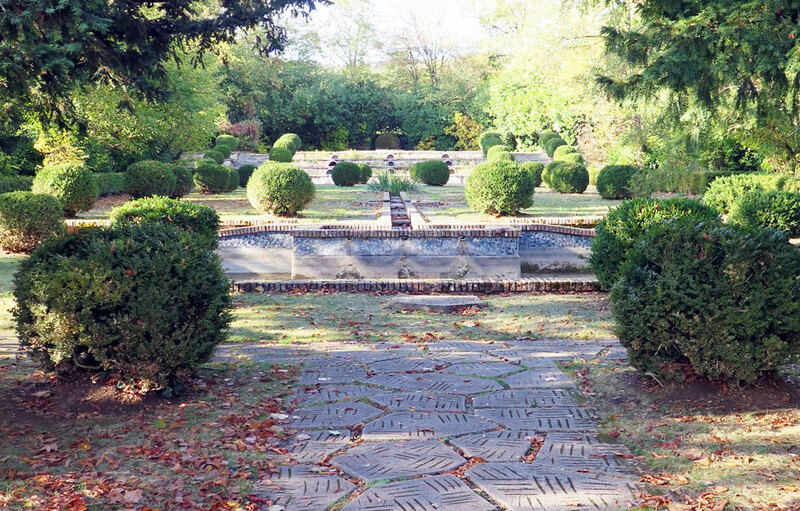 Opposite photo: stone pathway in Art Deco period garden listed in historical monuments. Greatly attached to stones, I design pathways according to the mosaic’s technique. 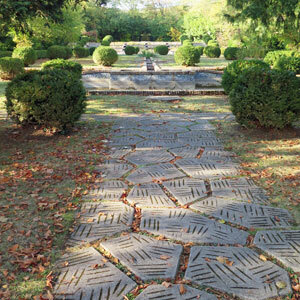 Stones used for pathways constitute an aesthetic arrangement and are, at the same time, respectful of plants needs. Indeed, porous materials and no binder allow soils permeability. Stones are in tune with the garden in all forms: pebbles carpet, pebbles mosaic, ornamental calades, marble mosaic, stones, coloured gravels. According to the project, pathways can be done with a team of mosaic artists or pebbles specialists. Marble mosaic fits in very well in the garden with a black and white contrast. Entrust me with your garden!